The Catterick Seller is one of those races you can mentally switch-off from at times and just assume they are a lot of garbage involved in their own private bundle. If you like betting on horses capable of, real, OR70+ performances such events can appear to lack any interest. The "Rabbits' Rumble" view of the race would have been correct in two of the last four seasons with races empty of anything with, even, OR60 aspirations. Last year was not one of those years despite the winner ending the season being successful in a nursery off OR53. Two of the beaten horses ended up running in late season nurseries off OR82 but neither of them could beat the Rabbit. Enough to make you twitchy if you think backing superior horses in sellers is one sub-70 rating area you can touch. Go back to 2006 and the winner was eventually claimed and then improved markedly to win Goodwood & Ascot Nurseries and also got to OR82. The claim took Just Dust away from Bill Turner and to David Elsworth and presumably brought the improvement. Go figure. So what was going on last year? The winner was Vilnius and a tiny rabbit but neatly built and a trier. A home bred for Mick Channon on her way to a busy season after a prep run. The runner-up was David Evans' Transfixed who had already won a seller and had a 5lbs penalty for that. She ran 28 times during the turf season and improved into the OR70s in August after a double figure number of outings. She did improve physically through the year. To make the comparison Littleportnbrandy, this year, was probably the similar Seller Debut win attempt in the Warwick event that Transfixed had won. In fourth last year was Tom Dascombe's Gertmegalush and the trainer knew he had ability but he was proving very troublesome in the stables. He was a 'Get Rid' entry. He showed his attitude by blowing the break and refusing to get going properly. He then made a promising finish as an OR70+ horse should. He was claimed and easily won a seller STO and, while still erratic mentally, a York nursery. Mind you, in third in the York race was Vilnius so it was the Catterick Seller re-run and a useful reminder of how moderate the quality in many York events can be despite the course's status. Which brings us to this year's field and it is hard to see a winner that is not Calormen for Channon or Welsh Dresser for Evans (who has had three runners-up in recent years). Calormen finished second on debut, on heavy ground, and was given a tender ride from Fallon looking to 'Tomorrow'. The time was slow and the his profile suggested it was poor form. The Pundits on ATR were drooling over the race and Calormen a must for your Notebooks. This response by the professionals in the media was not a reasoned reaction to what was in front of them, of course. It was the usual, robotic, replaying of the standard phrases they use, entirely thoughtlessly, to fill Time & Space down to them. Ghastly stuff and these are the people in control. Calormen had already been entered in a seller but perhaps the trainer and jockey saw enough in the Folkestone run to think a go in an early season maiden might be worth a go. Which meant he turned up at Leicester in another race on heavy. That was a poor quality race for an Open Maiden and he ran an entirely anonymous race in midfield with no forward effort against the duff newcomers. Fallon the eased off to let him drift home. In Paddock Review before the race he got given an OR66 mark. But, he gave one of those visibly 'Deflating' performances in the preliminaries which would have had you marking him either side of that figure depending when you saw him. David Evans runs two and Catherine Gannon seems to have moved back up the preferred list in the last week so you presume Welsh Dresser is first string. The jockey had deferred to Spencer and various jockeys earlier in the season. But won on Dingle View over the weekend. She was then on Littleportnbrandy as that one was flattened by the Hannon steamroller at Windsor. Welsh Dresser ran an adequate debut at Thirsk last week and managed to run straighter than most as the field rolled left. Why do so many horses roll 'open side' away from rails? At Thirsk last week you would have thought the track had a 30 degree slant on it away from stands the way the horses were running. Later OR50s perhaps on Paddock Review and a lesser type than Calormen but proven on faster going and better drawn. Also, on Thirsk evidence, a more mature attitude. Not going to develop like Transfixed but a solid opponent for Calormen here. A brief run through the others with, firstly, Copex a Paddock negative at Thirsk. Young and underpowered and fizzy in a stupid way with it. A horse to avoid and already beaten by Welsh Dresser. Soviet Bolt was also in that Thirsk claimer and a better physical type than Copex. But his attitude was very suspect. Mounted in a closed box, gave trouble loading and so on. Ought to be better than Copex and at a longer price but not a horse to be punting. Go and have a cup of tea. 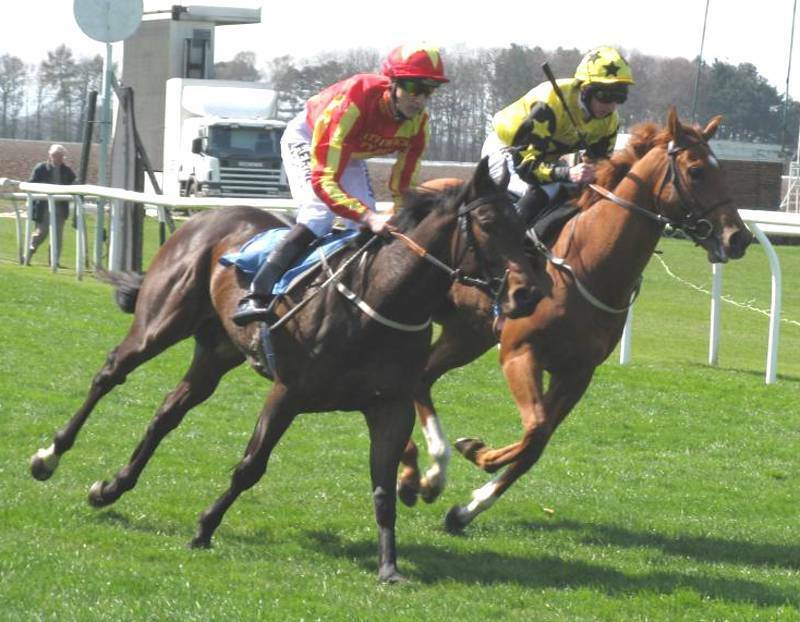 David Nicholls can get FTO wins in very late April and early May but normally with useful ones. Gets the odds good debut in sellers including with ones he owns. But, as his first runner of the year one to assess rather than be looking to win. Nothing in the pedigree or sales price to suggest anything better than an OR50s Rabbit and need to see him prove he is even that good. Little Nuthatch appears the Evans second string and has a pedigree which might produce a seller winner. The dam was a small one that won a seller for the trainer and the sire Camacho is fine for 5f wins early. The jockey is rarely used by the trainer and you feel this one ought to be less good, and knowing, than Welsh Dresser. But, in this instance worth checking how she compares in the Market to the other one. Perhaps the clue is in the name and this is a real 'Little' one. Lightweight thinking mode for Hannah Cann and easy to just dismiss it as a Peter Grayson runner. Alan McCabe had the third last year with a tiny filly that finished the season rated OR47 but still could never win. The more you think about it what was going on last year with Transfixed & Gertmegalush unable to cope with some combination of Vilnius & Gasparilla? Mrs Nisbett has some ok siblings so the 800 guineas price suggests another tiny one. Mr McCabe has not given us a competent debut this year like Gasparilla her in 2009. An easy pass overall. In summary, the downhill course is helpful to front and prominent running close to the far rail. Last year's event saw the first three through halfway grouped close to the rail from inside draws for example. Nothing else could close on them. So, looking for a slight edge with that view and the horses that might be better than OR50s rabbits. Calormen is above that level but is wide drawn and unproven on the going. If Fallon gets him out and second, one off the rail, then he ought to have enough oomph to get home in the last furlong. But, not convinced the horse can do that so perhaps one to avoid. Welsh Dresser gets 5lbs and is better drawn. Broke slowly on debut so have to expect she will be better here. Perhaps one to spend the 'Tea' money on if a bit bored. No real interest in the others except perhaps to see how Soviet Bolt compares to the others for size. If the likes of Star Rover, and long experience, had not prepared you for David Evans winning races with small ones then Bathwick Bear would have been a surprise to see at Thirsk. Good grief, he is the shortest, and most compact, in this field other than perhaps the cheap filly Misty Morn. On the positive side he is deep-bodied and strongly built. The best horse the dam has produced before was another small, sturdy, one in Folio. He was broader than the Bear but another to surprise with his juvenile ability. Here are a couple of pictures. Now, having your jockey looking down on you is not a good look for a racehorse even if he is one of the tallest. 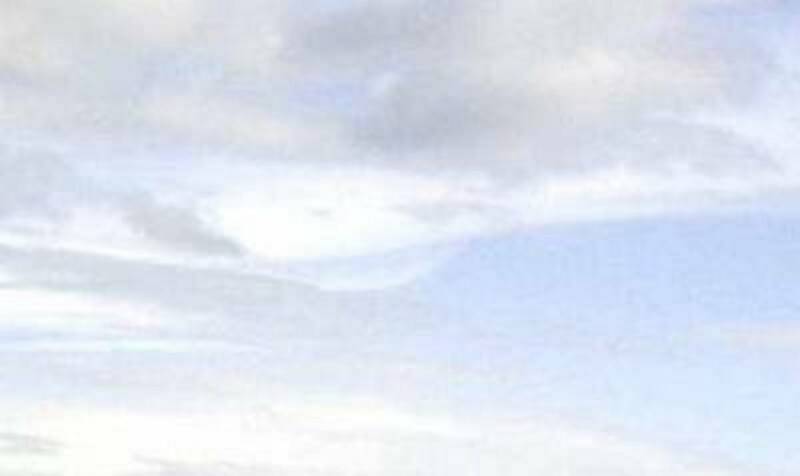 If you right click on the right hand picture above it will bring up the full size picture. Where has the rest of the horse gone? It looks like the jockey and lass are holding a, very well done, taxidermic specimen. Perhaps it is behind the, err.., big boned chap on the left. Shorter than the jockey and weigh less than your owner but still won the race. The thing that also stood out about Bathwick Bear is how mature he is mentally and he knows he is the boss. Not one of those short ones that have to invade Europe to prove they are not bothered about the lack of stature, Napoleon style. Instead, just quiet assurance. The jockey said in response to the lack of size question that the horse was very tough. If you watch the video of the final furlong at Thirsk you can see Arctic Feeling looking down at Bathwick Bear's eye and backing down. He knew he had met the boss. Try looking at this picture and a couple of points to make about it. Look at the demeanour of the two horses and Bathwick Bear is calm and controlled despite having just been in a last furlong duel. He knew he had it under control mentally, in horse hierarchy terms. The chestnut on the far side is Arctic Feeling and he is still behind the Bear and offering to look down at him. Ears spread and still flinching to some extent to the point that the jockey feels he needs to wave the whip to get his attention. He might be flinching from the whip but he had been doing it throughout the last furlong as the smaller horse rolled toward him as they were engaged in the duel. One other aside is to look at the Bear's left front leg in contact with the ground. This will shortly be the only one in contact as the rear legs recover under him and he will drive up to full suspension (airborne) off that leg. The bottom of the leg is bent back so it touched the ground behind the hoof. The 'Tendons' you always hear about going twang are down the rear side of the bottom of the leg (no muscles down there so long tendons linking back above the knee) and are what are stretching to absorb that impact and then contracting as the leg drives off. Whole weight leaning to the left, plus the jockey, at 35 mph & more and one leg stretched taking it all. It is a wonder the tendons are not going twang every five minutes. To finish off the Evans and the small ones memories let us connect last weekend at Newbury with 2001 at Thirsk. Go back to early April 2001 and a Paddock Reviewer is at Southwell, leant against a rail inspecting his fingernails, looking the wrong way. A horse goes past on the way to the start behind him. The subconscious hands over to conscious control and "What was that horse?". Of particular interest because of the beautiful, rhythmic sound it made. It is Steeley Dan and the winner of the race. Oh, and there goes the Evans rabbit Kelsey Rose who cost 1,100 guineas. No real interest in that. Wrong, and she is second in the race. She then runs into a raft of useful 2yos but manages to win a Southwell Maiden fourth go (from subsequent Hilary Needler victress Good Girl). 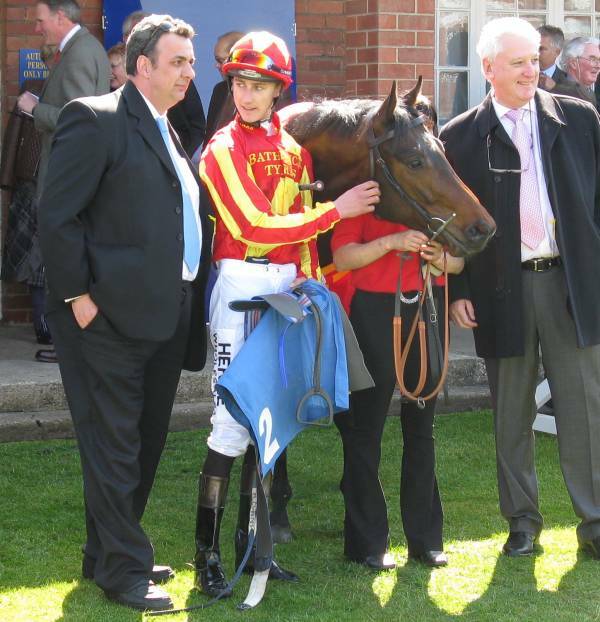 Her next run is in the Thirsk Novice that year and she manages to win and beating Fayr Jag (older Group 1 winner) & Welsh Emporer (older Group 2). Jesus, there were some good horses kicking around in those early season juvenile races in the North that year. 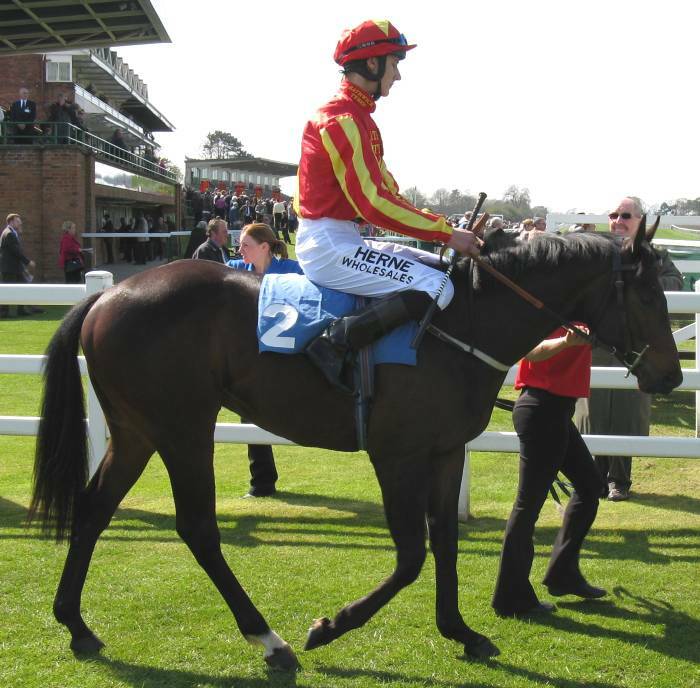 She was ridden by Joanna Badger at Thirsk. After that win she ran another 22 times up to 4yo but the only later win was in a minor 2yo event. She rated OR97 at best at 3yo. Now, she had a go in the Queen Mary at Royal Ascot and was thrashed behind Queen's Logic. But, the game is not over for fillies and their offspring can carry it on. Saturday saw the Nell Gwyn run at Newbury and the favourite was Lady Of The Desert. A daughter of the expensive Queen's Logic (who cost 1,000,000 French Francs) who had a glittering career to add to the Dylan Thomas sibling later recommendation. LOTD runs like a sprinter and hangs left (look, it's the Rules, ok) as she stalls late on. Hang on, who is that big filly steaming along to run LOTD and the expensive, arab owned, Hibaayeb down and win. It is Puff who is, of course, a daughter of Kelsey Rose (the 1,100 guineas, Evans trained, runt). Perfect.